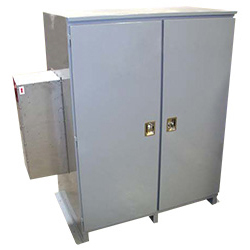 Exitronix central systems provide backup power protection and distribution for lighting loads and other critical loads in the event of utility power failure. The Tucson Mini Inverter Series is a single-phase, online, solid-state inverter system utilizing patented ECM technology. The Tucson Mini Inverter is designed to function in conjunction with the existing building electrical system to provide high-quality power conditioning, backup power protection and distribution for lighting loads and other critical loads. 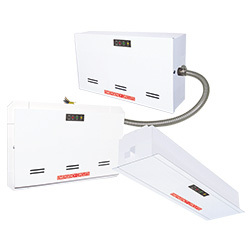 The Tucson Micro Inverter Series is a single-phase, standby, solid-state Lighting (SSL) inverter system. 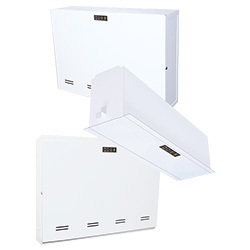 The small cabinet size of the Tucson Micro Inverter adds flexibility in installation location as it can be installed at the fixture or hundreds of feet away. 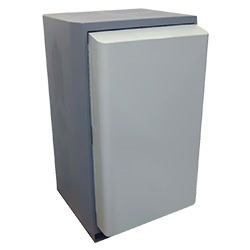 The Tucson Micro Inverter is designed to function in conjunction with the existing building electrical system to provide backup power protection and distribution for lighting loads and other critical loads in the event of utility power failure. The Tucson Compact Inverter Series is a single-phase, off-line, inverter system designed to function in conjunction with the existing building electrical system to provide backup power protection and distribution for lighting loads and other critical loads. The Sonoran 3 is a three-phase, online, double-conversion, Solid-state inverter system utilizing patented ECM technology. 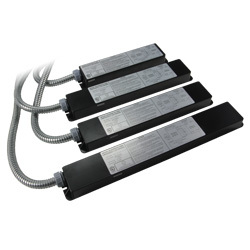 The Sonoran 3 functions in conjunction with the existing building electrical system to provide high-quality power conditioning, backup power protection and distribution for lighting loads and other critical loads. The enclosure is a NEMA 4 (outdoor) or NEMA 12 (indoor) rainproof/weatherproof enclosure designed for harsh environmental conditions. The Sonoran 1 is a single-phase, online, double-conversion, solid-state inverter system utilizing patented ECM technology.The Sonoran 1 functions in conjunction with the existing building electrical system to provide high-quality power conditioning, backup power protection and distribution for lighting loads and other critical loads. The enclosure is a NEMA 4X (outdoor) or NEMA 12 (indoor) rain/weatherproof enclosure designed for harsh environmental conditions. The Sierra 3 Series is a three-phase, online, double-conversion, solid-state inverter system utilizing patented ECM technology. The Sierra 3 functions in conjunction with the existing building electrical system to provide high-quality power conditioning, backup power protection and distribution for lighting loads and other critical loads. 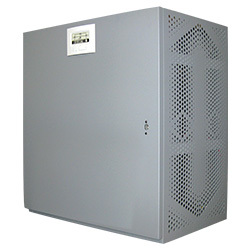 The enclosure is a NEMA 3R (outdoor) rain-/weather-resistant enclosure designed for outdoor environmental conditions. The Sierra 1 Series is a single-phase, online, double-conversion, solid-state inverter system utilizing patented ECM technology. 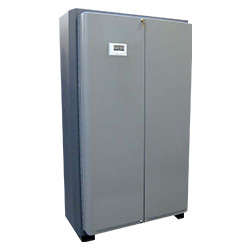 The Sierra 1 functions in conjunction with the existing building electrical system to provide high-quality power conditioning, backup power protection and distribution for lighting loads and other critical loads. 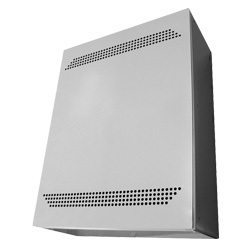 The enclosure is a NEMA 3R (outdoor) rain-/weather-resistant enclosure designed for outdoor environmental conditions.